Engineering educators around the world have told us how pleased they are with the Omni Bundle - a lab solution for teaching haptics and robotics inexpensively and safely to undergraduate and well as graduate students. Quanser has now made the Omni Bundle even easier to use. Plus with its updated course materials, it offers enhanced lab efficiency and a higher degree of student engagement. Ultimately, this provides you with a remarkably strong lab solution to motivate your students-and a new and powerful reason to consider adding the Omni Bundle to your lab. 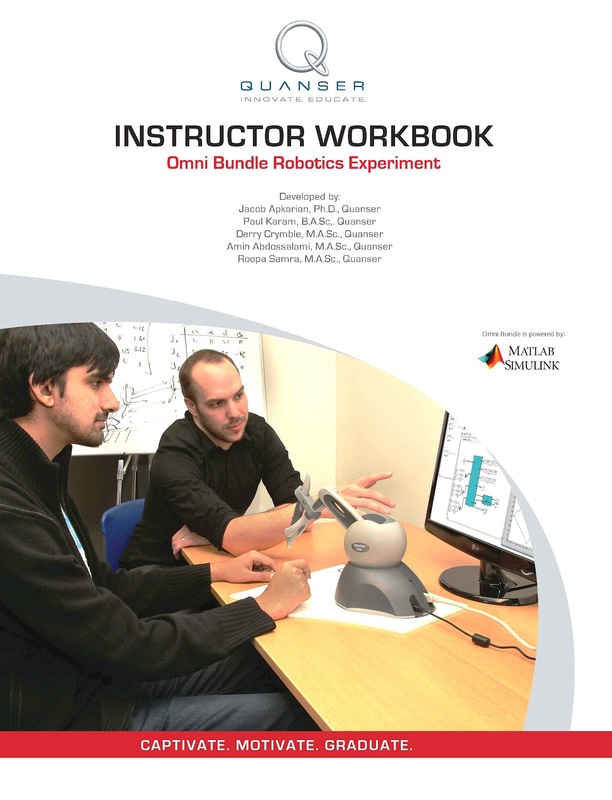 We eliminated the configuration process that set the MATLAB® path and ran the "get tool offset"
Find out more about Omni Bundle lab solution and how it can enhance the capabilities and effectiveness of your robotics lab. Please contact Oliver Zhang to find out more.